We have a winner! I will contact them shortly. After months of negotiation with my agent, I agreed terms with http://hursleyfm.comfor a podcast interview. Oh, all right then, they e-mailed me at work last Wednesday, and I said yes straight away. Interviewed by Big Finish about the scripts for their Blake’s 7 audios, Paul Darrow commented that sometimes we have Avon describing the computers as “he” rather than “it.” And because that wasn’t typical of the character, he asked for it to be changed. Which is true. A bit. 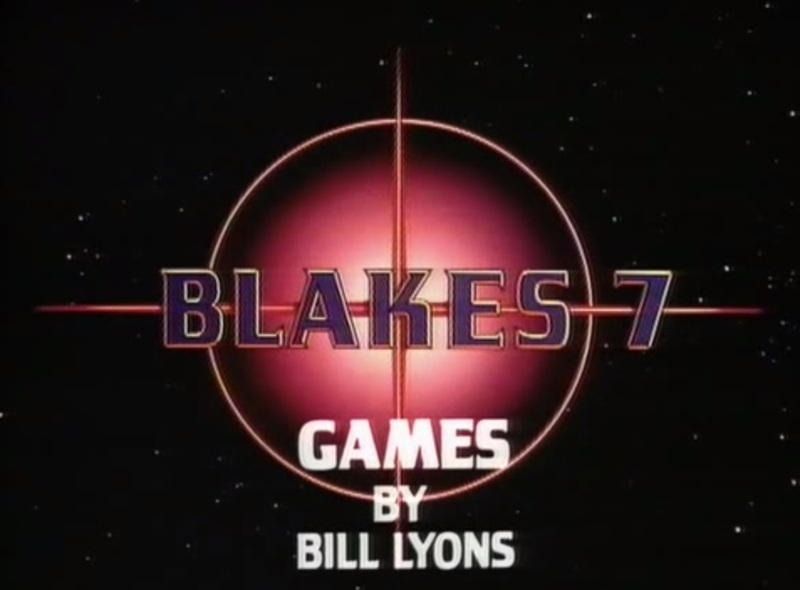 Blake: Orac teleported me back to Liberator. Avon: I know. He teleported me first remember? So my preference is to avoid having Avon use either “he” or “it” when referring to Orac, and thus just write around the decision about which to use. Sometimes it’s going to be awkward to have Avon repeatedly referring to Orac as “Orac” in a conversation with another character. And having him call Orac “it” is a bit emphatic, unless Avon’s making a point about the computer. And on those occasions, I don’t shy away from letting Avon say “he” — especially if it is cued by another character saying “he.” In the example above, “Orac teleported me first, remember?” would sound odd after Blake’s line. And “It teleported me first, remember?” would be an unusual emphasis for the scene. But is it true to the original TV series? We pride ourselves in the Big Finish writing team that we’re all huge fans of the show, and getting the characters and story continuity right is important to us. I read through all the original scripts of the audio series to review continuity references. 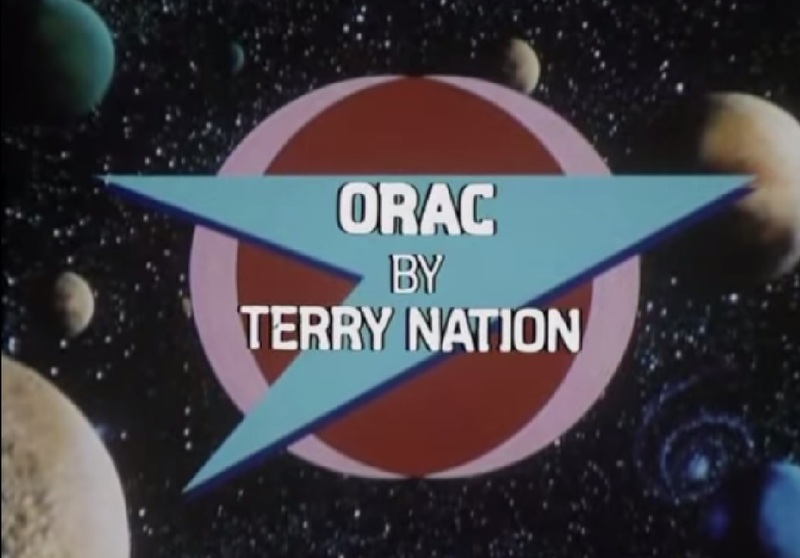 So, does Avon really never call Orac “he” on the telly? Well, here’s a scene from the story that first introduces the computer, the eponymous episode Orac. Orac: Demonstrate as a command is insufficient. Gan: What does he mean? Avon: He means, like Zen, that he requires specific instructions. Avon: If Orac is going to get any information out of that machine, this is the way he’s going to do it. Orac: We’ve both made sacrifices. Avon: He means that Gambit is. Avon: To an inferior computer? Orac: Which merely disguises my long-term strategy. Avon: Let’s forget your ego for the moment. Conversely, we know characters like Gan and Vila refer to computers as “he” — whether Orac or Zen or Slave. And yet there is this interesting dialogue exchange in Shadow (Season B). Hanna: This is silly. It’s just a machine. Vila: Of course it is. If it wasn’t so expensive I’d kick it to pieces. Bek: Yes. If it didn’t bite. Gan: Avon’ll fix it when he gets back. The context is that they are discussing Orac in front of visitors, Hanna and Bek, who refer to Orac as “it” rather than “he” from the outset. The dialogue flows naturally, and logically, when Vila and Gan use “it.” And it works thematically, too, distancing Orac from us and the crew in the context of his/its behaviour during the episode. There we are, then. I think that there should be occasions in the audios when Avon chooses to call Orac “he” rather than “it.” That is the case for my scene in Mirror. And it also fits in consciously with a theme of the audio series. But to find out more about that, you should buy the CDs and listen to them. 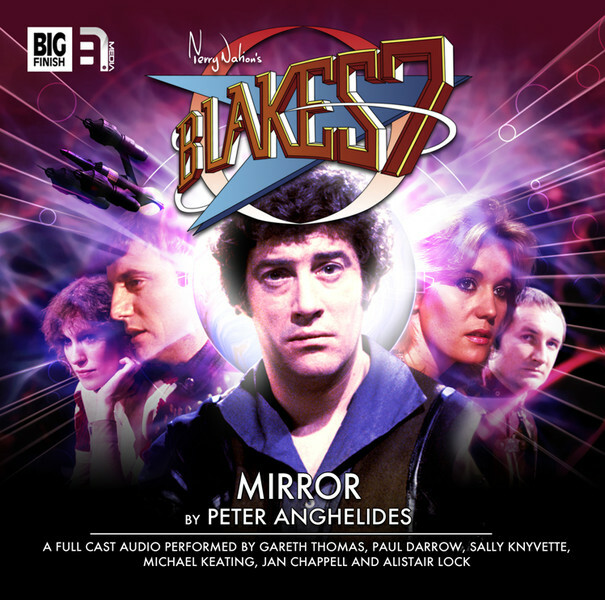 My Blake’s 7 audio “Mirror” is published today. It’s the latest exciting episode in a full-cast audio series. You can hear a preview clip of it here. I loved being part of a team of writers putting together this “Season B+” for Big Finish and B7 Media. I hope listeners are starting to spot the threads as each new episode comes out. I’ve particularly enjoyed the advance fan speculation about what’s in each story, based on titles, covers, cast lists, or the “blurbs” for each new instalment. But, just as with the original TV series, you can enjoy them as individual stories. As a bonus, each release also contains interviews with the cast and crew – and the interviews for “Mirror” features almost all of the regular cast. I was interviewed in the studio for this one, but my comments were left on the cutting room floor. At the time, I felt a bit coy or constrained about what to say because I wasn’t quite sure what I could reveal in advance. There was one particular aspect of… let’s call it “nomenclature” that I did talk about, somewhat haltingly. Fortunately, there’s a Paul Darrow out-take in the interview track that sums it up in a delightful and much more succinct way than I did. You can order “Mirror” from Big Finish here. I’d love to hear what you think of it. On reflection, I’m sure you’ll enjoy it. Big Finish has a customer survey running at the moment. It solicits opinions about all sorts of things, including which other spinoff series they could make. Participants get the chance to win a prize worth £250. I like the idea of Torchwood audios, obviously. As I have prior history with that franchise, I would hope to be early in the queue for writing those – alphabetically speaking. Unless Dan Abnett isn’t busy at the time. Mind you, it’s an outrage that Big Finish aren’t considering a spinoff series for An Adventure in Space and Time. I demand to hear further thrilling stories featuring Verity and Sydney (pictured here from their recent personal appearance at GallifreyOne). Steve Cole even photographed me discussing things with Sydney by the hotel pool. Everyone should write in to Big Finish! Pop pop pop over to their website immediately. Those splendid people at Big Finish have been publishing the covers of their forthcoming full-cast audio Blake’s 7 episodes. One of them is mine: Mirror. More news about that in the new year. Orac has tracked Space Major Kade – the man who killed Jenna’s father – to the planet Vere. Jenna wants her revenge, but that must wait. Blake needs her to pilot the Liberator to Stellidar Four, where he has a small window of opportunity to solve the mystery of a new Federation device. It’s a daring plan. And it could be the beginning of the end for the Liberator crew. 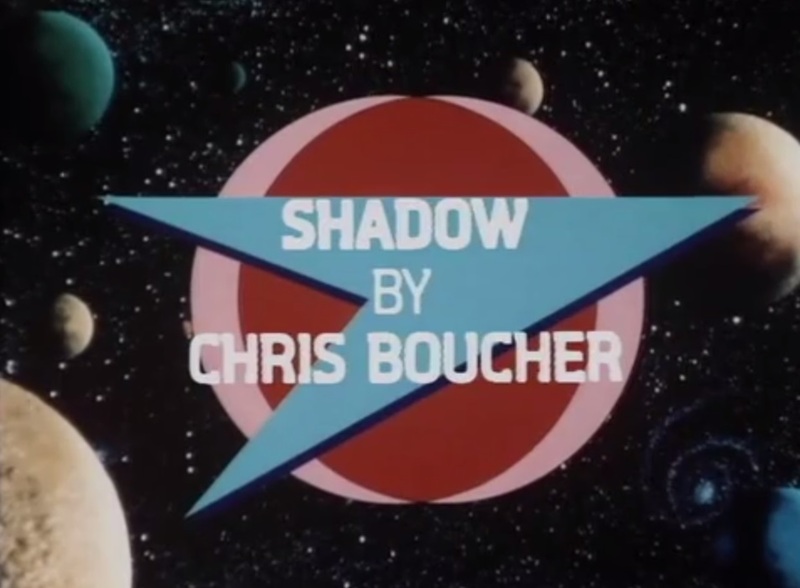 Gareth Thomas (Blake), Paul Darrow (Avon), Michael Keating (Vila ), Jan Chappell (Cally), Sally Knyvette (Jenna ), Brian Croucher (Travis), Alistair Lock (Zen and Orac).